New to Appspace? With our brand-new publishing workflow in Appspace 7.0, we have simplified how you create content and channels in the Appspace console, and then quickly view it via your smartphone or tablet. 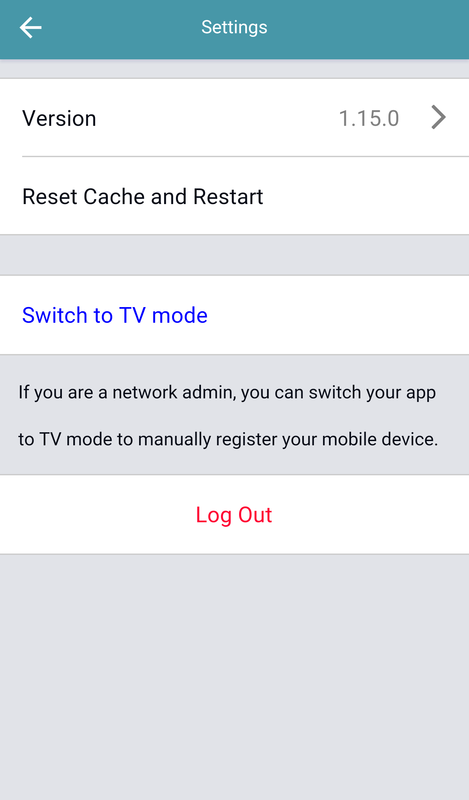 You may also choose to switch to Device Mode (TV Mode) from your App and the smartphone/tablet will then behave like a media player and display your channel in full screen (like on a TV). However, you must register the smartphone as a device to do this. An Android or iOS based smartphone or tablet. Click here to view compatibility: Compatible operating systems and devices. Follow this quick start guide to create and publish your content and view on a smartphone or tablet. Log in with your Appspace credentials at https://cloud.appspace.com. Click the Quick Actions menu and select Create Channel to create a playlist channel. Click the Add Content button to add images, videos, or a card to this playlist. Refer to Create a playlist channel article for more information. Select the users that need access to this channel. For this demo, select All users. Go to the Apple App Store or Google Play Store from your smartphone or tablet, and install the Appspace App. 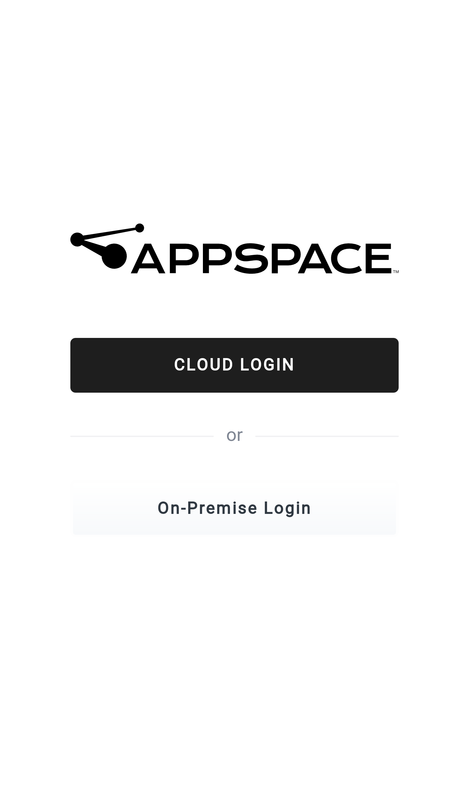 Launch the App, select Cloud Login, and log in with your Appspace credentials to view the published channel(s) and browse the App. Check out the Appspace App look and feel here. To switch to Device Mode, go to Settings in the App navigation bar, and click Switch to TV mode.